Present state: The station has been rerstored as the headquarters of the Nene Valley Railway. The original main station building is currently unused and in need of repair. A new down platform has been built and the station building from Barnwell moved to it. Notes: Wansford Station was shown as Wansford Sibson some early timetables. Adter closure to passengers in 1957 the station remained open for freight traffic until 13.7.1964. The up platform was shortened during this period. 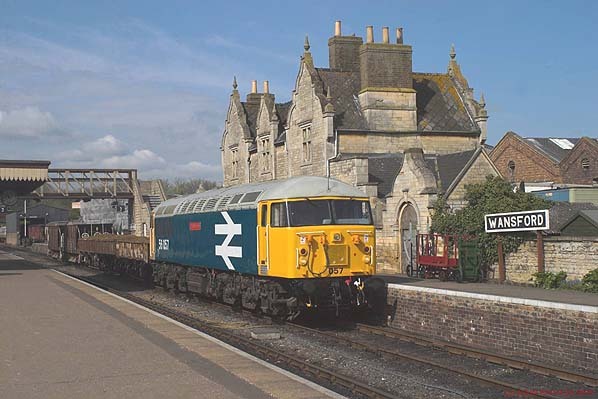 The station was reopened in 1977 as the headquarters of the Nene Valley Railway. The two platforms were originally staggered but a new down platform has been built opposite the up platform and the main station building from Barnwell was moved here on 5th April 1977. Since the line reopened Wansford station has been enlarged with a brand new building, incorporating a booking office was errected alongside thr road, this opened in 1995. The upper floor contains the company office and a conference room. The original station building on the up platform is not currently owned by the Society who are hoping to raise the £160,000 required to buy the Grade II listed building. The Northampton to Blisworth section was officially opened on Tuesday 13 May 1845 and the complete track was opened on Monday 2 June 1845. On 16 July 1846 the London and North Western Railway was formed by merging the London & Birmingham Railway with a number of other companies and during the mid 1800's, the development of iron ore mining in the area was reactivated having been suspended for 200 years by law due to the lack of wood for charcoal. All available wood being required for the Navy. 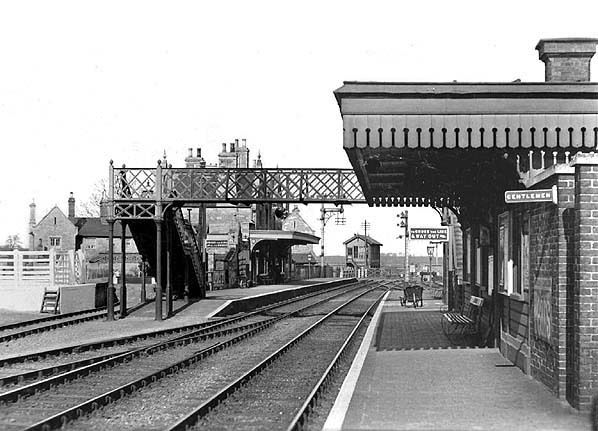 August 1867 and Wansford became a major junction when the LNWR opened their new line from Yarwell Junction (just west of Wansford) to Seaton on 1st November 1879. The 1923 grouping took the line into the London Midland and Scottish Railway (LMS). 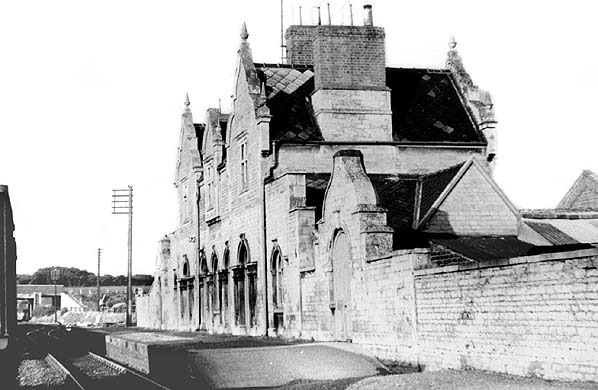 Wansford Station looking west in September 1967. Note the platform has been shortened. EMRPS Charter at Wansford Station looking west on the 28th April 2006. Note the platform has been restored to its original length.